Mahindra offers a raft of accessories and customisation options for its car range. The latest in the collection is the Mahindra TUV300 Superstyler kit revealed via an image shared through its social media handles. The Superstyler kit adds front bumper extensions with a faux silver finish skid plate. Above, the fog lamp and lower grille get grey finish surrounds. Matching grey wheel arch cladding with exposed rivets, hood scoop, roof rails, and a roof-mounted housing for auxiliary lamps enhance the look of the TUV300. The image shows the Superstyler body kit with black finish alloy wheels and Dynamo Red dual tone exterior colour. Just behind the front wheel arch on the side cladding, there appears to be a tri-colour stripe. The image shared by the company does not reveal the rear. Changes to the cabin, if any, have not been specified. The Superstyler body kit is a dealer level fitment. The Facebook post or the official online accessories portal does not make mention of the price. 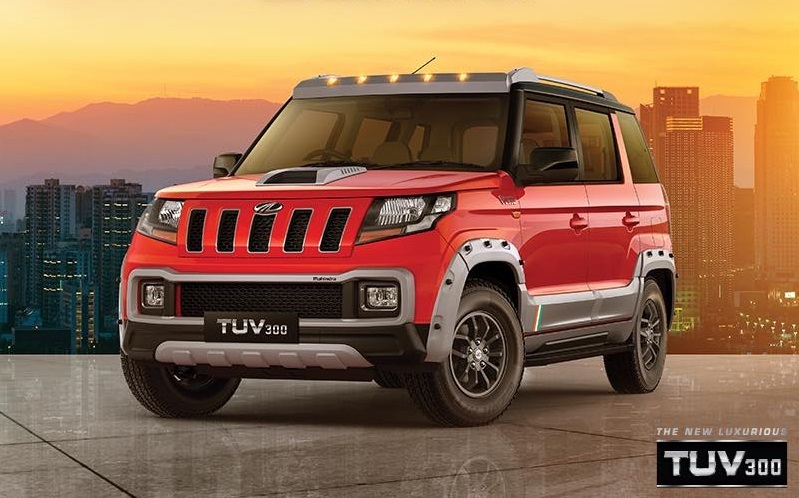 Mahindra offers the TUV300 in four grades with one engine and two transmission options. All configurations come with a 1.5 L mHawk100 diesel engine that produces 100 bhp and 240 Nm. The T8 and T10 grades are available with a 5-speed AMT, apart from the standard 5-speed MT. Dual-tone exterior colour options are restricted to the T8 and T10 grades. Dual front airbags and ABS with EBD are standard across all trims. In its most basic T4+ form, the Mahindra TUV300 costs INR 8,25,961 (ex-showroom Delhi). The range-topping T10 trim with a manual transmission retails for INR 9,99,417 (ex-showroom Delhi) while the AMT variant costs INR 10,75,508 (ex-showroom Delhi). Buyers will have to shell out around INR 15,000 to get a dual tone treatment for their Mahindra TUV300. The Mahindra TUV300 is priced at INR 8,25,961 - INR 10,90,507 (ex-showroom Delhi). 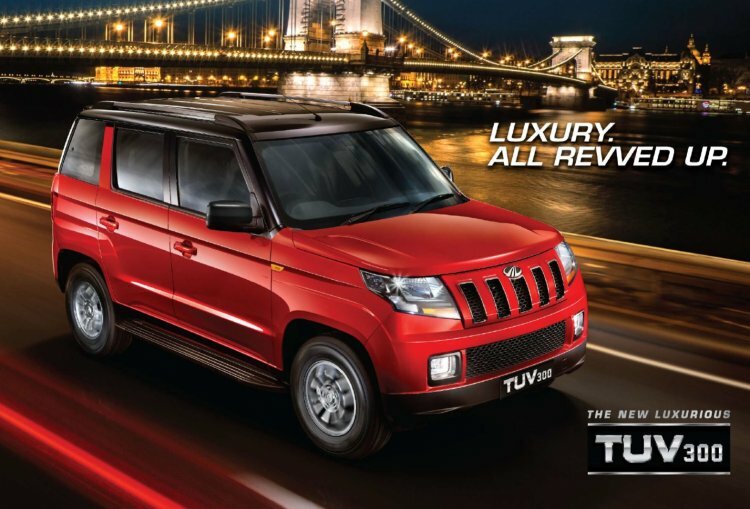 The company added a new variant last month called the Mahindra TUV300 Plus. It is a more powerful and stretched version of the TUV300 accommodating more spacious jump seats behind the second row taking the occupant capacity to 9.